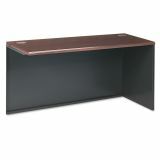 HON 38000 Series Return Shell, Right, 60w x 24d x 29-1/2h, Mahogany/Charcoal - HON's popular 38000 Series sets the standard for metal desks. 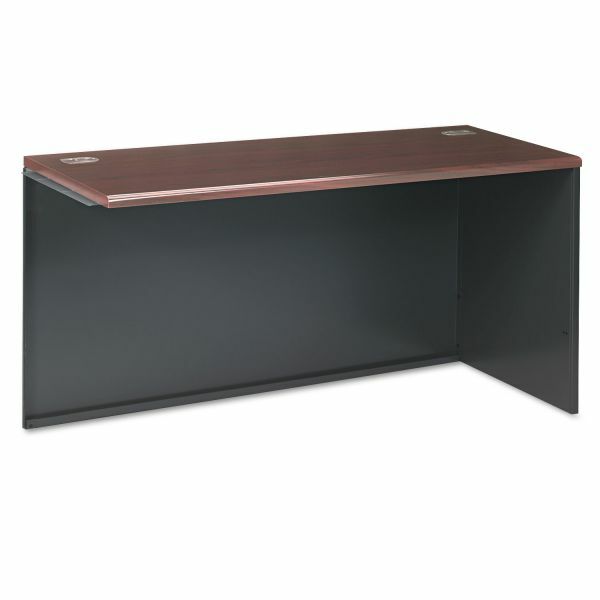 This rugged, good-looking solution features a high-pressure laminate top. Waterfall-shaped edges on both front and back lend comfort while typing or conferencing. Underneath is a sturdy steel body, built to meet best-in-class standards in world-class production facilities. 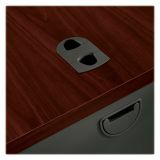 Carefully engineered details are everywhere, like our ball-bearing drawer suspensions and tru-fit mitered drawer fronts. 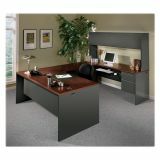 Wire management runs to the desktop, through the desk body and even between desks to keep the workplace uncluttered. No wonder it's America's bestselling steel desk. For an upscale look, rugged performance and a practical price, rely on 38000 Series. Not freestanding. 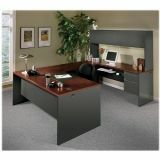 Use with Desk Shell to create an "L" workstation. Use two Return Shells with Corner Unit to create a corner workstation.